America’s #1 game show is now available. 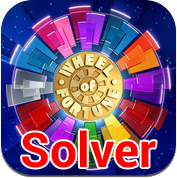 Play the all new Wheel of Fortune game optimized for Android tablets. It features “True to show” sounds and graphics, customizable 3D avatars, multiple game modes, and 1,800 puzzles written by the show writers.